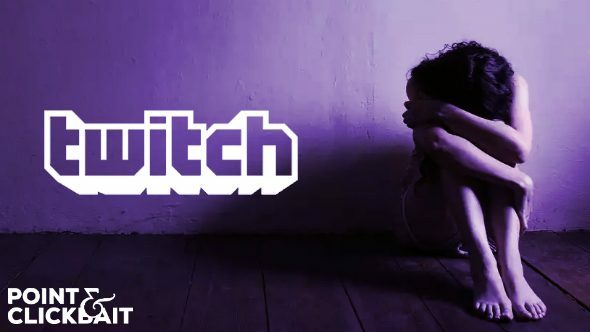 Twitch has announced plans to follow up their new ‘Twitch Marketplace’ programme with an innovative ‘Twitch Garage Sale’ expansion which will allow you to bid for things that belong to the streamer and are lying around their house. Check our Twitch Tools platform, for tracking stuff like Twitch following. Partnered Streamers who opt into the Garage Sale programme will enjoy automated software that overlays on top of the stream. Machine learning algorithms will identify objects in the background and then attach a ‘best price’ to them based on a global marketplace. If streamers want to keep their own property, they will need to bid against the viewer to see who can pay more before the time runs out. Twitch’s parent company Amazon will handle the delivery of the items to the new owner through its drone fleet (continental USA only), taking a 30% cut of each transaction. Famous Twitch streamers are understood to be “cautiously optimistic” about the idea, but some have raised concerns that they may end up naked in an empty room, wretched and whimpering as they desperately try to outbid complete strangers for their own possessions. Fortunately, Twitch has them covered.